Gloria Baker says the Health Sciences Early College Academy, part of the offerings of Kent Career Tech Center, helped develop her passion for cell and molecular biology. Baker, an East Grand Rapids High School senior, is now competing for a national level research scholarship with the help of faculty based at the program’s location: Grand Valley State University’s Cook-DeVos Center for Health Sciences downtown. It all began with her parents’ insistence that she attend an open house for the program last year, says Baker. 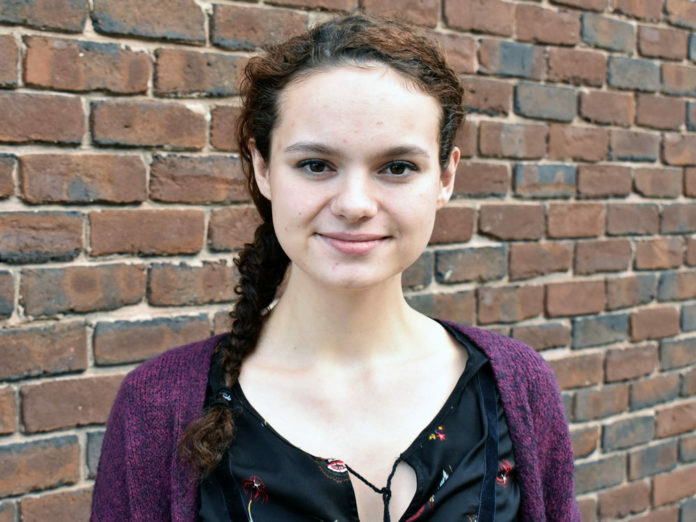 Although she was initially reluctant, she soon realized her passion for science and research could blossom at this specialized Tech Center program. 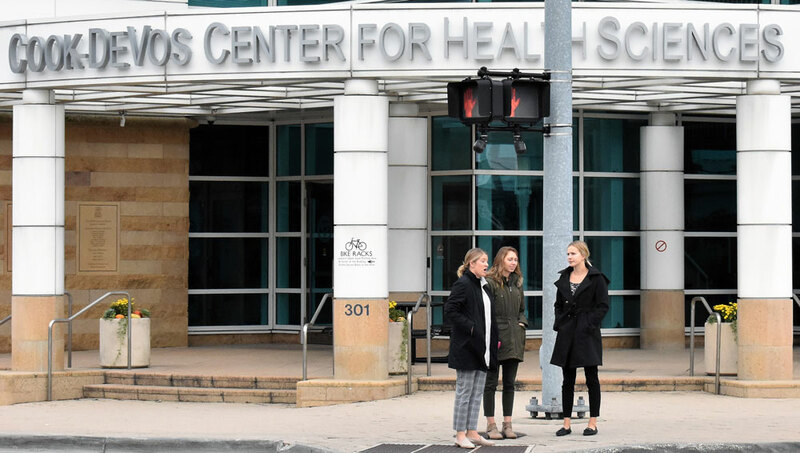 “Once I visited the program, I fell in love with it,” said Baker, one of 27 area high school students enrolled in the Biomedical Technology section. Part of the appeal is working with like-minded students and instructors who help her explore her interest in plant science and medicine. Baker is working on a full-length thesis about protein degradation in the Arabidopsis thaliana, a small flowering weed that is widely used as a model organism in plant biology. “Protein degradation happens in every living thing,” Baker explains. “It’s fun and it’s challenging,” says Baker, adding that she will have about a year of college credits under her belt by the time she graduates. Her thesis will be entered in a scholarship competition with about 1,000 other students across the country. 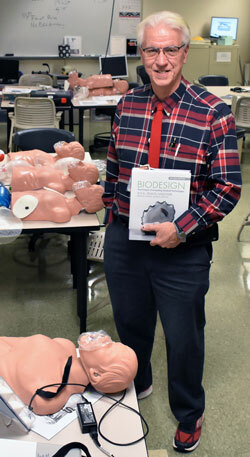 Russell Wallsteadt, an instructor at the Health Sciences Academy, said Baker’s unique course of study is a good example of what the program offers to students who want to explore health careers. Besides earning high school credit, students also earn free college credit for some of the Academy’s courses and are officially enrolled in either GVSU or Ferris State University. Students spend about 90 minutes a day at their downtown location or in combination with online instruction, says Wallsteadt. The program also helps high school juniors and seniors gain confidence in their ability to study at a collegiate level, according to Wallsteadt. The Health Sciences Early College Academy is available to any high school junior or senior in Kent ISD with a minimum 3.0 GPA and some math and science background. More information about the program can be found on the Tech Center’s website.